So...have you been wondering where we have been? 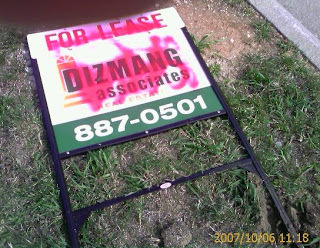 Obviously, things have been a little crazy with Dizmang Properties therefore the obvious lack of blog posts and videos. However, we hope that you've been keeping up with Paul's personal blog and/or Jessica's personal blog. 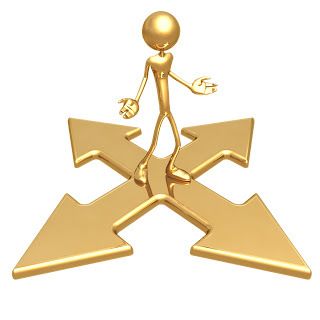 In all honesty, we are struggling to determine which way we should take our business. For the last 20 years, Paul has been the Broker/Owner the real estate firm Dizmang Properties. In the last 15 years, Paul has worked with a very tight, core group of investors that have purchased investment rentals properties ultimately becoming the essence of our business. Property management isn't really the direction we had originally intended to go, but over the last several years, it has become that way. We are your Investment Specialists. Call it what you want..."managers of your wealth"..."congress of your rental empire"...or just "the people that spend your money on wise real estate investments". Whatever you call it, the bottom line is that we're good at it. We're not arrogant, just confident. We've made our Investors a lot of money over the last several years. We've built subdivisions, purchased lucrative duplexes and and advised our Owners to refinance when the rates were at their best. We have unclogged backed up toilets, hauled tons of trash, and replaced leaking hot water tanks at 2 o'clock in the morning. We have found an appropriate Tenant for each property, collected their monthly rents, and deal with ridiculous complaints. We've even pursued the dead-beat Tenants that refused to pay and got the judgment to collect the money. Each month, we have paid the mortgage payments on these properties, the taxes, the insurance and other bills that are due. And most of our Investors haven't even stepped foot inside any of their rental properties in years. They love this part...they just collect a check at the end of the month, glance at the reports and go about their business. 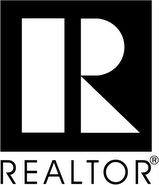 What other kind of REALTOR would do this for you? There aren't many of us around that do that. Now, we continue to list and sell homes, but our expertise and experience lies within real estate investments. So when you're ready to take the plunge into rental real estate, get Paul. He does it all. In our latest video podcast, Paul shares 9 tips to cleaning up and repairing your credit so that you can purchase a home either as your primary residence or investment (rental) property. 1) Pay all of your bills on time. The most obvious but can be the hardest to do. You want to pay all of them on time but if you had to choose-- always pay the revolving debts first and on time; i.e. credit cards, car loans, rent or mortgage payment, etc. These can affect your credit score the most. 2) Avoid companies that offer assistance for a fee. They are not all bad, but usually you'll find yourself paying a fee for someone to tell them to pay their bills on time. Many of these change-your-credit-overnight gimmicks are just that. Use the fee that you would pay them to pay down on a credit card; you will be way ahead. 3) Have your monthly payments auto-deducted from your bank account. Out of sight, out of mind. Having auto-deduct makes sure you are never late and you learn to live off of what is left over. Besides, it will save you a stamp. 4) Consolidate your high interest credit cards to one with a lower rate. High interest rate loans will be the death of us all. Try to lump balances together and look hard for a lower rate. Sometimes you have to dig a little, but it can save you a ton of money. 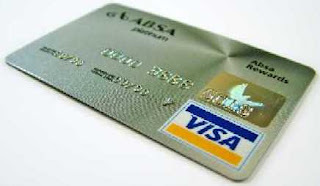 5) Watch your credit lines on your current cards. The higher available credit limit you have, it could result in a lower score. If other areas of your credit are weak, just the fact that you have the ability to pull thousands off of a credit card can weaken your score. So, have your limit lowered to only what you really need. It can always be increased later. A gas card. A department store card. Some of these types of cards are easier to obtain and have modest credit limits, like $250 or so. However, these types will help your score as long as you pay on time. 7) Avoid a lot of credit inquiries. 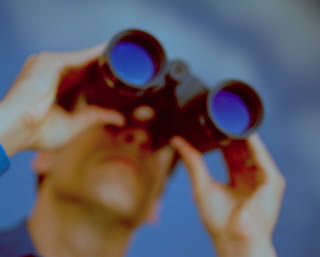 Trying to apply for any type credit puts an "inquiry" on your credit report even if you are not approved. Too many of these inquiries gives the impression that you may be trying to borrow more than you can afford. Therefore, this can hurt your score. An occasional inquiry is no big deal, but applying for 10 credit cards in a month will hurt. 8) Use your head and stay focused. Cancel any unused credit cards. Pay off lower balances and use the additional money to put towards higher loans. If you stay the course and keep everything current, your score will improve. It will take time and there is no quick fix, but you can do it! 9) Check your credit again in 6-12 months to see signs of improvement. About every 6 months, credit scores seem to be updated. Partly due to when the credit companies report about your activity. However, if you are late, they are quick to report and it will destroy you immediately. So, you will probably begin to see improvement in about 6 months but it could take at least a year depending on how low your score is. It will take time, but clearly worth the effort. Then when you are ready to purchase a home, then contact us and we'll get you on the right track. If you have questions, don't hesitate to e-mail! According to an article that I read in REALTOR Magazine online, Apartments.com conducted a survey and there is a list of what Tenants are mainly looking for when renting property. (Among the many other lists and demands that they already have...yes I said that with sarcasm). First, if a Tenant was comparing equal properties side-by-side, over 52% said that location would drive their decision. We can't guarantee that we've got all of these things that Tenants are looking for in renting property, but we sure get close. You can see what rental properties that Dizmang Properties has available by checking out our web site.